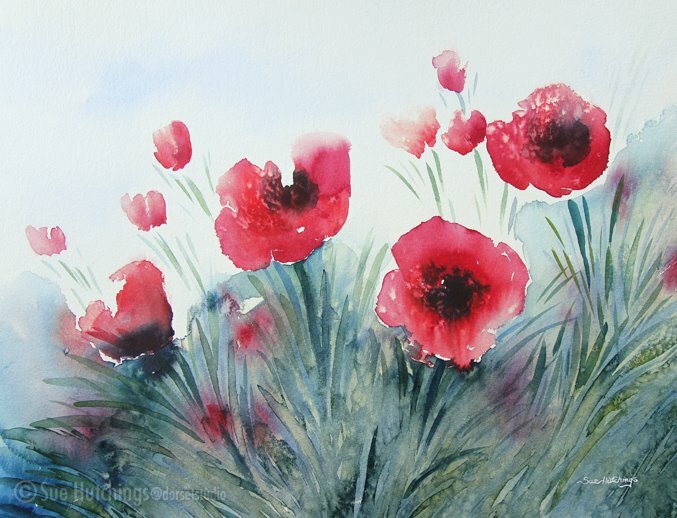 I have been asked if I can demonstrate my watercolour poppies for the lighthouse art group in June, and thought I would post up a previous poppies in the making as an example of what it will look like to those watching, although it is likely to be less watery as this one, because it will be on an easel, and is going to run! it’s not a topic you can paint flat as the 40 or so members won’t be able to see! I am really looking forward to it. Hello Sue, I am so sorry not to respond to you sooner, this message fell into my spam folder. I would love to demo for you. i will give you a call this evening to discuss it further. Thank you for getting in contact with me.